When we first met 10-year-old Marty earlier this year, the severely malnourished Alaskan Malamute relied on his sense of smell and hearing to make sense of the world around him. Suffering from an extreme eye condition, Marty was placed into life-changing surgery at our Frank Samways Veterinary Clinic before some healing time with our foster carer Alison. Read our previous feature about Marty here. 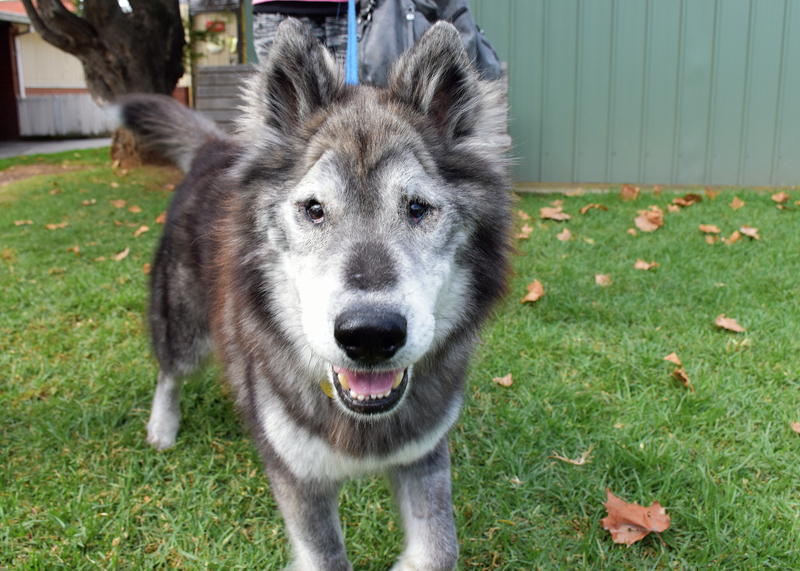 In April this year, Marty was ready to move into the care of the Alaskan Malamute Rehoming Aid Australia in Victoria, who have since helped the spritely senior take confident strides into his new future. Over the coming months we will be introducing you to a number of the rescues assisting us with finding homes for our shelter animals. 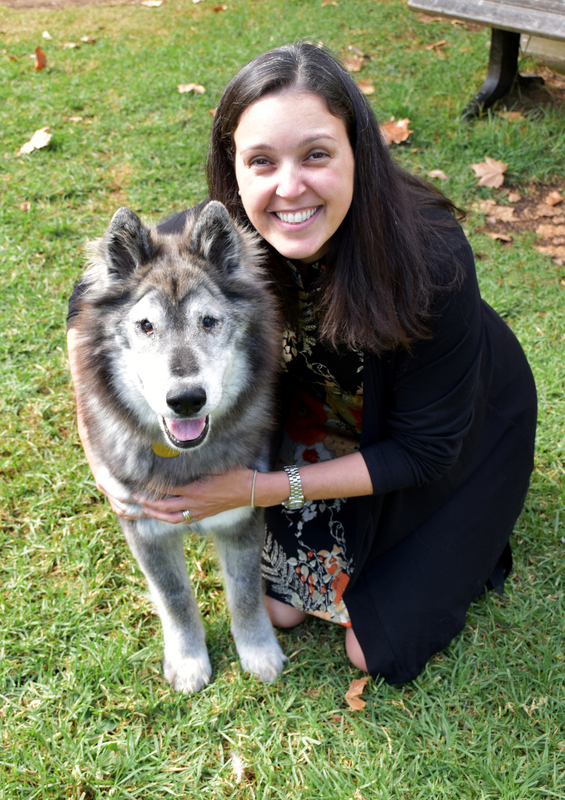 In our first feature, we will meet Mirella from the Alaskan Malamute Rehoming Aid Australia and find out just how Marty is travelling. Since joining AMRAA in 2013, Mirella has seen her fair share of magnificent malamutes, one of which her heart was set on very early on. “I first got involved with AMRAA actually through my husband who was volunteering for them,” she reflected. 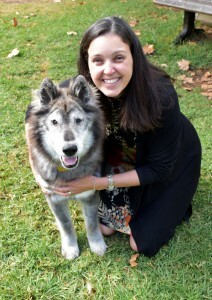 “We were living in the ACT at the time and we fostered a very beautiful boy by the name Takoda. Now working permanently for the Victorian branch, Mirella said she felt compelled to join AMRAA after seeing the difference they were making to the lives of malamutes in need of a home. 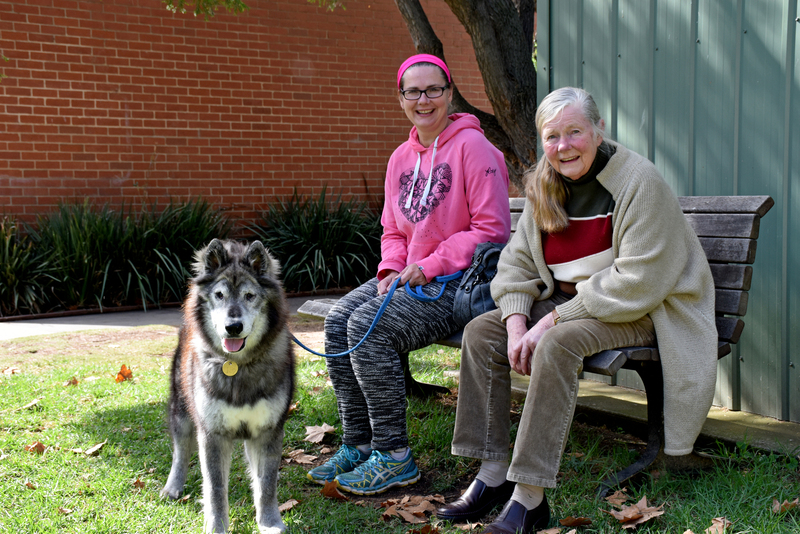 Earlier this year, our North Melbourne shelter contacted Mirella after senior malamutes Marty and Daisy came into our care as strays. Then on one perfect autumn afternoon, Mirella along with Marty’s new foster carers from AMRAA Michelle and her mother Bev met “Mr Personality”. “His foster carer at the Home had said he was full of beans and when we met him, we knew right away she was right! Marty is the life of the party! Although he is ten-years-old but you couldn’t tell his age. Mirella said Marty’s time in foster has helped AMRAA develop a profile of him to assist with finding his perfect home. While it is still early days before Marty is ready to be adopted, Mirella is confident he will have no trouble settling into his new life very soon. It is fair to say we will all be thrilled for Marty and his lucky new family when that day arrives. Stay posted for an update soon!